Mulberry is a deciduous, medium to large tree (20-60 feet tall) that is available in fruiting and fruitless varieties. If you currently have a mulberry that fruits, you may be well aware of the mess the fruit can create. Although the fruit is edible, there may be more of it than you can handle with an end result of a driveway that is stained purple and a car that has been bombed by bird, ahem, droppings. 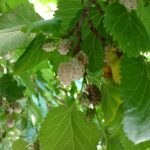 With such a nuisance, you may be wondering how to stop a mulberry from fruiting or mulberry fruit tree sterilization. Ask any arborist and they will probably tell you that sterilizing mulberry trees is a difficult proposition, if not impossible. Expensive chemicals are required and the potential drift can affect surrounding unprotected trees and bushes. Generally, the results are inconsistent and must be timed perfectly during fruit bloom and in prime temperature conditions for any efficacy. The best course of action to stop a mulberry from fruiting and preventing the type of mess described above is to plant a male tree or fruitless variety of mulberry. 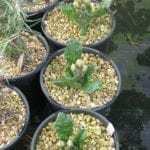 If it’s too late for that and you have a female tree, thinning or pruning the tree to reduce the amount of viable fruit is certainly a thought. You will still get some fruit but between eating some and the reduction of fruit set, you may be able to stay ahead of the untidiness. 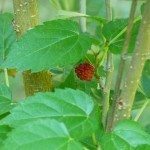 Really, the only other method to try for preventing mulberry fruit is to use a chemical application. These chemicals can be applied by you or preferably by a licensed tree company. An attempt can be made sterilizing mulberry trees with the use of such chemicals as Florel Fruit Eliminator. 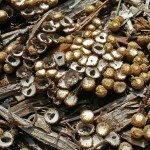 Florel contains ethephon, which will stop fruiting and breaks down into a natural plant hormone, ethylene. It must be applied at full bloom at just the right temperatures (60-95 F./16-32 C.) and will cause fruit to drop prior to setting. All conditions must be optimal, including a lack of disease or insect infestation, sufficient irrigation, excellent drainage and soil conditions. An issue with any of these puts the tree under stress, causing its natural production of ethylene. Too much ethylene will damage the tree, causing defoliation, stem damage and leaf scorch. For this reason, even professionals have a difficult time determining the best time for application. A professional company may also use a deflowering hormonal solution applied internally as a basal or tree trunk panacea for mulberry fruit tree sterilization. Known as Snipper, this is an acid solution that is micro-injectable and again, has a window of optimum opportunity for use. All hormonal sprays should be applied during flowering before fruit set. This timing is crucial and any derivation will result in wasted time and money. 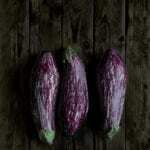 Other chemicals may be useful for mulberry sterilization. Consult with an arborist or the like for professional grade information. Professional application is likely to be costly, so keep that in mind. If all else fails, consider the removal of the tree (although that costs a pretty penny too!) and replanting of a less disorderly specimen.